You see a map that demonstrates territory of Ukraine. interesting map of Melitopol' here. interesting map of Yakymivka и OziExplorer calibration here. detailed map of Kostyantynivka и OziExplorer calibration this. 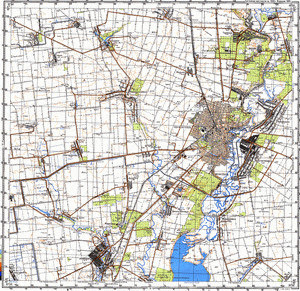 map of Voznesenka with gps calibration download for free. actual map of Terpinnya for gps. detailed map of Zelenyy Lug with gps calibration this. free map of Zelenchuk free download. topographic map of Zaporizhzhya this. actual map of Voroshilovka 1 cm to 1 km displayed. topographic map of Volna presented. interesting map of Vishnevka with gps calibration here. free map of Ukrainka 1 cm to 1 km presented. topographic map of Trudolyubovka with gps calibration for gps. actual map of Tambovka и OziExplorer calibration for you. topographic map of Semenovka free download. topographic map of Semenivka displayed. actual map of Polyanovka this.